At Gator Pest Control, we believe the best way to do our job is through pest management. This starts by answering all of your questions and keeping you informed. 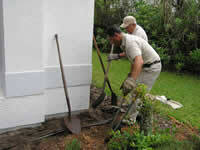 This creates a sound working relationship between you and Gator Pest Control. Together we will incorporate control measures to improve all the conditions in and around your property. Such as: structural modifications, proper storage practices, etc.. By doing such procedures will alter the environment making it unsuitable for pest habitation. Then, applications of pesticides may be used to reduce existing pest populations and to prevent new ones. 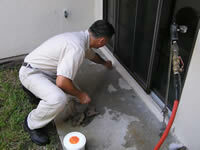 At Gator Pest Control our job is to setup a plan of action tailored just for you. Our termite department offers termite protection with the latest most effective of products available on the market today. Products such as Termidor, Premises, and more.